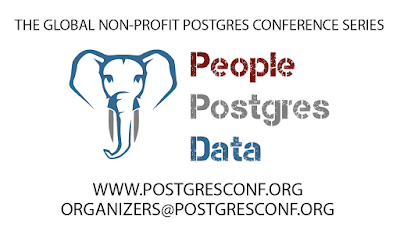 When you are considering a conference about Postgres, one should pick the one that is focused on building the community. PostgresConf is all about building the community and we even captured it on video! 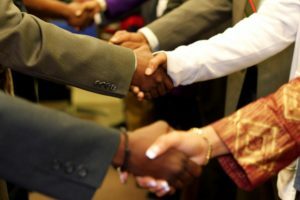 PostgresConf embraces a holistic view of what community is. We want everyone to feel welcome and encouraged to give back to PostgreSQL.org. However, that is not the only opportunity for you to give back to the Postgres community. We all have different talents and some of those don't extend to writing patches or Docbook XML. 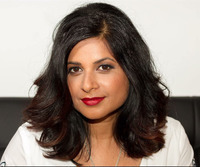 When considering who is part of the community and who is contributing to the community, we want to introduce you to a couple of fantastic organizers of our conference: Debra Cerda and Viral Shah. Some in the community will know Debra. 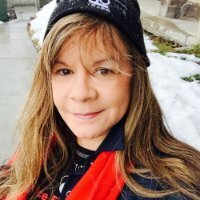 She has been in the community for years and is one of the primary organizers of Austin Postgres. Debra is our Attendee and Speaker Liaison as well as our Volunteer Coordinator. She is also a key asset in the development and performance of our Career Fair. Viral is our on-site logistics lead and is part of the volunteer acquisition team. It is Viral that works with the hotel using a fine tooth comb to make sure everything is on target, on budget, and executed with extreme efficiency. Without her amazing attention to detail and dedication to service we wouldn't be able to deliver the level of conference our community has come to expect from PostgresConf. There a lot of reasons to go to a conference. You may be looking for education on a topic, a sales lead, or possibly just to experience a central location of top talent, products, and services. All of these reasons are awesome but we find that the most important reason is to build relationships. The following are two exceptional examples of community projects. Our first example is ZomboDB. No, they are not a sponsor (yet!) but they have a fantastic Open Source extension to Postgres that integrates Elasticsearch into Postgres. Our second ecosystem community member is an entity that most have heard of at this point; TimescaleDB. It too is a fantastic showing of what is possible when you combine brilliance with the extensibility of Postgres. What is notable about these two mentions is that they represent what we would call, "Professional Community." Recently ZomboDB wanted to bounce some ideas off of a Postgresql hacker regarding the Index Access Method API. We at PostgresConf were able to facilitate an introduction to Timescale and a couple of amazing minds ended up chewing the fat on their respective projects. It's relationships such as these that enable the community to grow and offer the best opportunities possible. Join the Professional user and ecosystem community for Postgres today! You can start by submitting a presentation to the upcoming PostgresConf 2019 being held March 18th - 22nd, 2019 at the Sheraton Times Square. 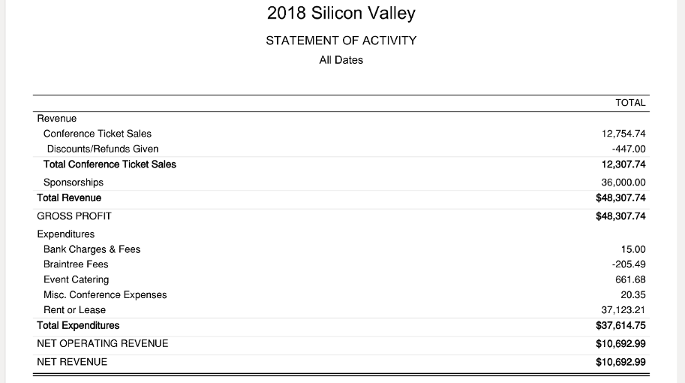 PostgresConf Silicon Valley 2019 dates and 2018 numbers! Announcing PostgresConf Silicon Valley 2019, September 18th - 20th at the Hilton San Jose! An absolute perfect pairing of training, breakout sessions, and a fantastic weekend break to enjoy the valley for every speaker, attendee, volunteer, and organizer. Didn't you just host the community at PostgresConf Silicon Valley, you ask? Why yes we did! That event was October 15th and 16th of 2018. The event was such an unexpected success that we immediately started working with the hotel to lock in our dates for 2019. We requested mid-October to early November. Unfortunately, the only week they had available was the week of September 15th, 2019. We are again working with the Silicon Valley Postgres Meetup; the fastest growing Postgres meetup in the United States. PostgresConf Silicon Valley is much more cost effective than the "big" conference in Manhattan and that is exactly what we want as a development or "local" conference. We are targeting 50% growth for 2019 and we want do so in a way that is inviting to new community members that won't overwhelm them. We succeeded with that in 2018 and we are going to continue the mission of People, Postgres, Data!